After taking a two-year break, SouthWest Writers is restarting its popular Bimonthly Writing Contest with a call for one-page poems on any subject. The entry fee is $10.00. Prizes for First, Second, and Third Place will be awarded for each bimonthly topic, along with Honorable Mentions. Winning entries could be published in a subsequent issue of SouthWest Sage at the editor’s discretion. Winners will be announced two weeks following the end of each submission window. The Bimonthly Contest will accept submissions for the first contest topic beginning May 1, 2015. You may submit your entries online or by regular mail. Entry fee is $10. Multiple entries will be accepted with $10 payment for each. Prizes: $100 (1st place), $50 (2nd place), and $25 (3rd place). Winners and Honorable Mentions will be announced on the website two weeks after each contest deadline and in the next month’s SWW newsletter. Unpublished submissions only. See Topics and Submission Windows for word length. Entries submitted outside the specified submission windows will not be accepted. 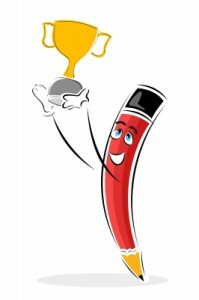 Previous first-place Quarterly or Bimonthly Contest winning entries are not eligible to be entered in the current contest. For poems, formatting is at the writer’s discretion. All other entries use standard manuscript format: 1 inch margins, Times New Roman or Courier 12 pt, double-spacing. Do not include identifying information on the manuscript. Do not include identifying information on the manuscript. You do not need to send a cover sheet — the online form includes the necessary information. You may upload your entry formatted as .doc, .docx, or .rtf. Click here to submit your entry online and pay through PayPal. Do you give SWW permission to publish your entry in the SWW newsletter? You retain all rights.